After a bit of practice, installation of the2Mic should take approximately 30 seconds. Clear instructions are included with the product manual provided with the2Mic, and shown in the above video. 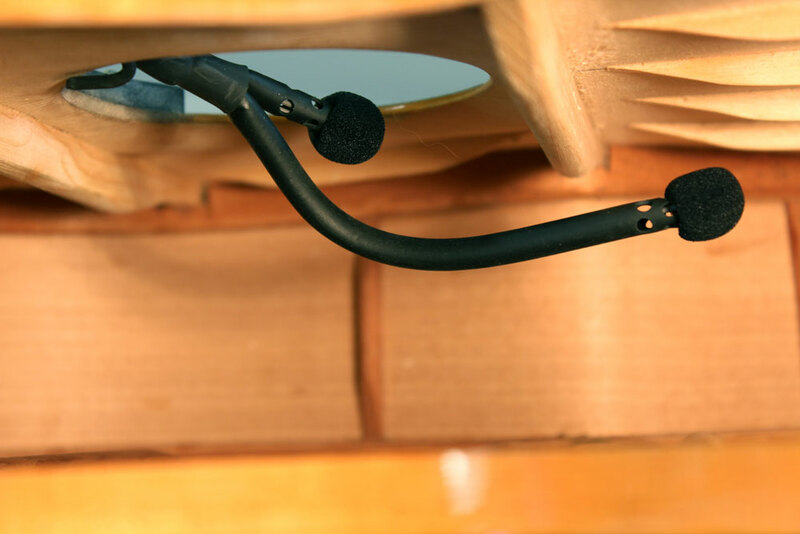 EPS-2 - The 2Mic is designed to work best when used with modern P.A. powered speakers, and other P.A. gear having a phantom powered, balanced, mic level signal. EPS-1 - But, guitarists sometimes must work with equipment which requires using a mono unbalanced line level signal and/or no phantom power feed. To meet this need, the2Mic is also supplied with a AA 1.5v battery operated EPS-1 power supply, which produces a line level, unbalanced mono output signal. A highest quality of sound can be recorded and amplified using either power supply, but using the EPS-2 is best, as the modern mic level signal of the EPS-2 is more stable, and easiest for any good sound engineer to work with. Read the article on Repetitive Motion Injuries and how the2Mic helps alleviate this. Wanted to tell you I bought the 2Mic from you and after a few months of using it I can say this is the mic system I’ve been waiting for. It is awesome. 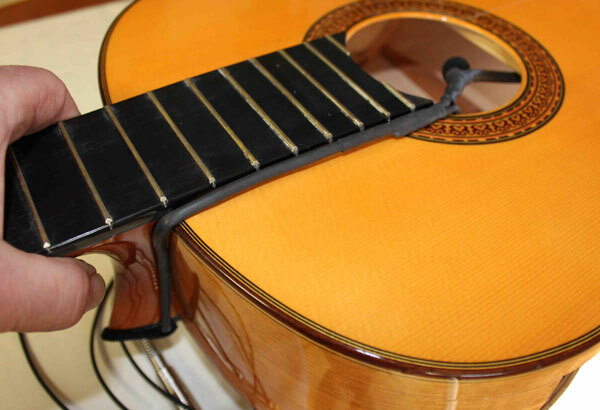 The sound is very accurate to my guitar and it responds wonderfully to dynamic and color changes. If it’s set up correctly the volume before feedback is impressive. I can keep up with the percussion and accordion quite well and in a good room I’m able to stay with a full drum set. It’s ideal for concerts but has held its own in the NYC nightclub gigs as well. After attaching the2Mic, I quickly forgot it was even on my guitar. It did not interfere or distract me at all and because of the dual microphones, the Two Mic accurately amplified my guitar's tone. The quality of sound was remarkable, what came out of the speaker was the same as what came out of my instrument. 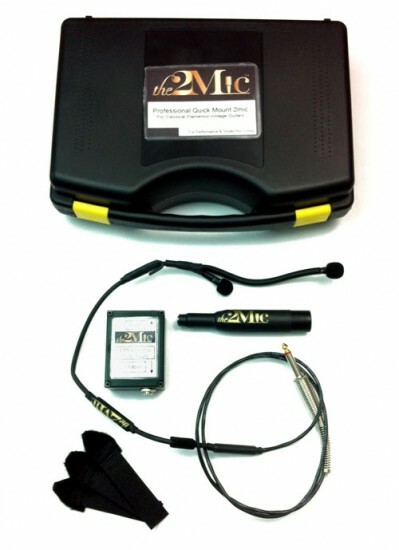 The Two Mic has solved the issue of amplification that is visually discreet to both the performer and audience, while maintaining the integrity of the instruments tone. Q: Can it be plugged into a Fishman guitar amp? 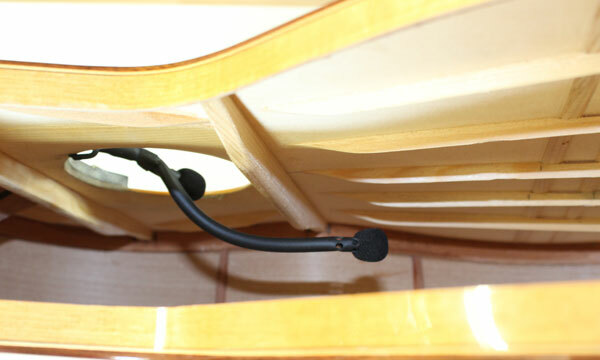 Yes, it can be used into a Fishman amp though the manufacturer fine tuned it to be used with the the Stinger Powered Speaker (refer to the2Mic Bundle- stringsbymail.com/the2mic-dual-soundhole-microphone-amplification-bundle-19089.html). Q: How & where do I enter to test the product? Q: I clicked on "sign up for the beta test" but was brought to the purchase page. How do I participate in the beta test? Q: How do I request the beta test of the 2mic? Q: What do I do to beta test?